The most brazen part of this process was the recent broadcast of a 26-minute TV show focused on Bitcoin, created by China’s government-backed national television. The report is far from impartial, openly lashing out cryptocurrency and even comparing Bitcoin to a Ponzi scheme. The final result was, obviously, an outraged community. The show interviewed four representatives of the Bitcoin community – a trader, a merchant of mining equipment, an entrepreneur managing a cryptocurrency exchange and a couple who stars in a Bitcoin videocast program -, but it mainly broadcasted the excerpts of the interviews where Bitcoin was portrayed as a negative scheme. At least, that was what the couple, Jin Yangyang and Guo Hongcai, said in their latest videocast. Both complained the program only broadcasted a few minutes of a very long interview, taking their words out of context to fit the goal of the TV show. Bitcoin is a high stakes game. That’s all it is. They highighted a few individuals. One was someone who bought at the top with all his savings and capitulated and sold at the bottom – citing many others who did the same. Wretched impact on these families. A businessman got into selling Bitcoin mining machines and, after the price collapse, many customers returned or cancelled their orders forcing this businessman to lose his entire year of profits that he had made on Taobao from his main cosmetics business. OKCoin saw their customer base double from 60,000 to 120,000 during the boom and then saw volumn collapse after the government laid out their measures. Lastly they cited how many students and young people lacking in life experiences and trading experiences had borrowed money from their friends and put it in Bitcoin, and now cannot get the money out from the exchanges to return to the other students. This supposedly led to life threats and violence. This is especially bad, as we are approaching Chinese New Year’s and so many people have suffered from this wild game. Almost no mention during this video about anything to do with the lower transaction fees and how it can help merchants save. They also did not mention the technological innovation that is the blockchain. Of course, the program did not mention the ability to send money privately to anyone and anywhere in the world. As for the government’s own measures taken, they tried to play it off as the government doing its job to protect its people’s interests. To support their position, the program cited that Thailand had banned it, South Korea heavily warned against it and India had taken measures against it. A fascinating ‘can’t keep your eyes off of it’ game they called Bitcoin and it was the mania of 2013 because of its extreme volatility and tempting price action. We should feel sorry for the people’s losses and the state is doing the right thing to prevent such tragedies in the future. No mention of anything other than this is one big game. Bitcoin buyers were described as ‘players’ of this addictive game, but that the real consequences were tragic. But China is not only attacking Bitcoin through the TV. The press is also part of the game. Take as an example a recent article published by Andy Xye at the South China Morning Post. 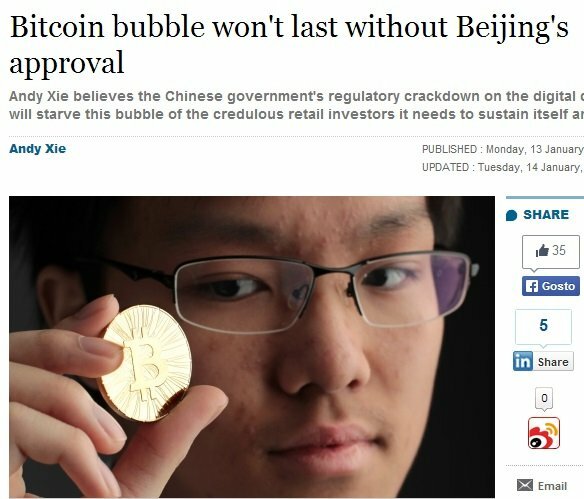 Although the title doesn’t look that aggressive – “Bitcoin bubble won’t last without Beijing’s approval” -, the first paragraph completely shows the true colours of the piece. “Bitcoin is a Ponzi scheme masquerading as a futuristic currency. 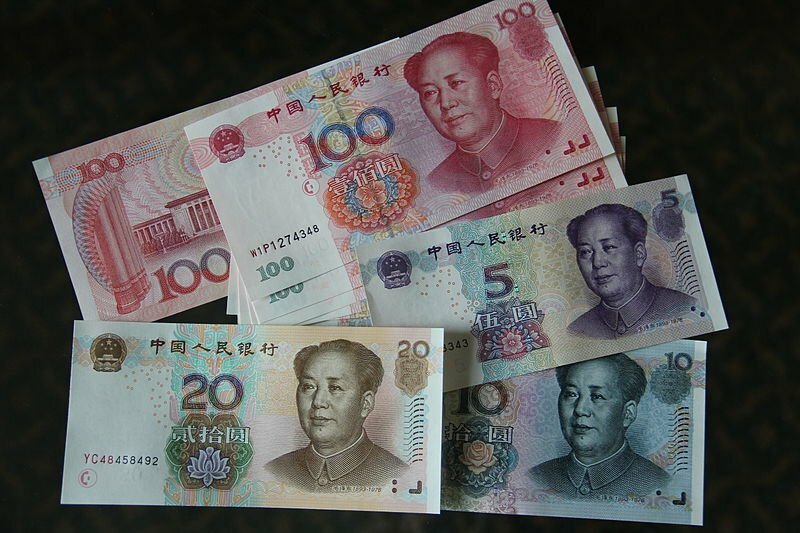 It was a small bubble until it found China last year. But when the Chinese government launched its crackdown, it was the beginning of the end. Its recent revival is merely the last gasp. 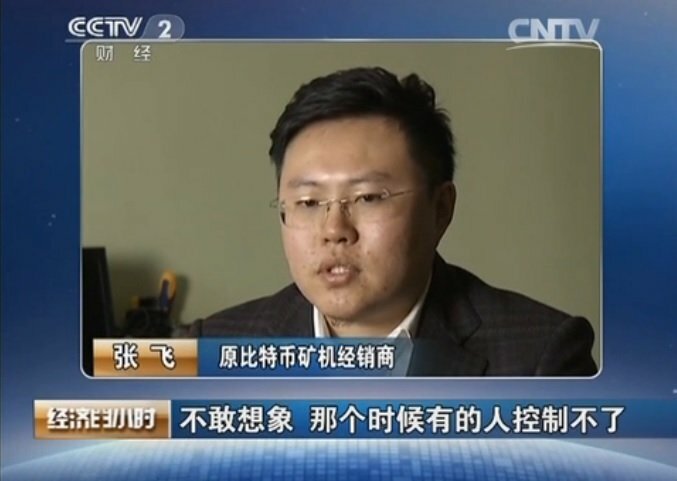 No retail Ponzi scheme can last without the credulous and speculative masses in China”, claims the article’s author. The text tries to portray the idea that Bitcoin is a bubble created by the West to somehow harm the Chinese people. Bitcoin is a bubble that foreigners cooked up and, by all appearances, is designed to rob the credulous Chinese masses. When the bubble bursts, the Chinese government won’t be able to arrest these foreigners and get the money back. The bubble is not under Chinese government control. Hence, it cannot be tolerated. Unfortunately, the Bitcoin bashing carried out by the Chinese media won’t end here, as the country keeps trying to destroy something it cannot control.